"Harraaaaaaga... babor wla felloucaaaa ?" Emigrating, yes, but in a ship or a rowboat? 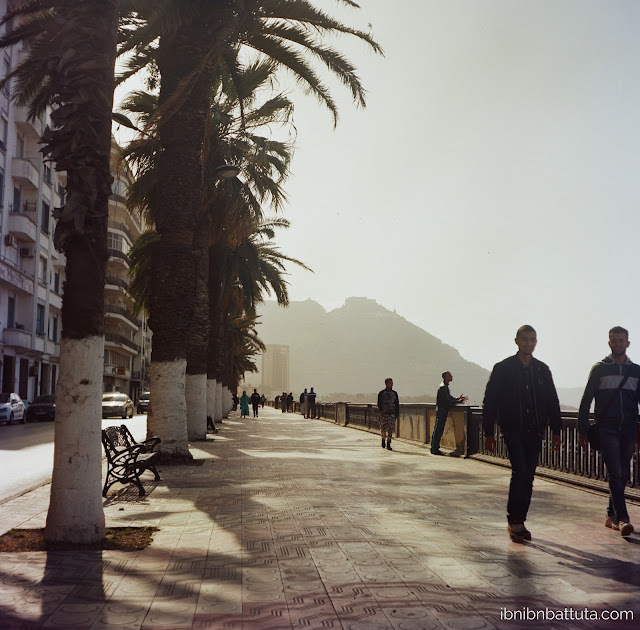 One of the many teens shuffling along Oran's seaside corniche, hair gelled heavenward and listless friends in tow, belted out this refrain over and over as he and his posse rambled down the boardwalk. My tie loosened and suit rumpled after a day of meetings, I sat on a bench, squinting through the evening sun's rays, observing the passers by. 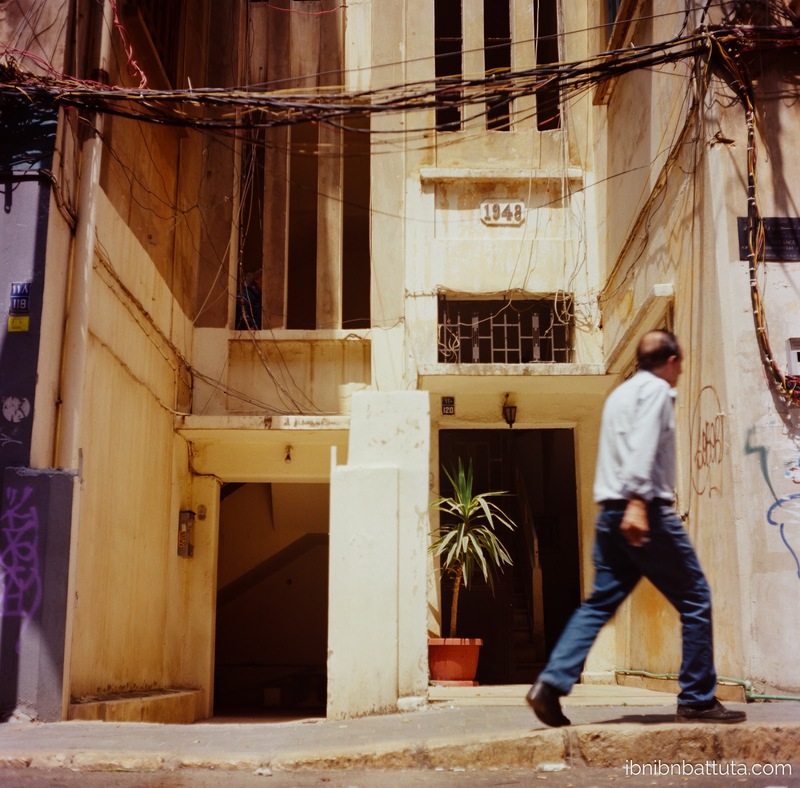 Over the course of several visits to Oran this year, I spent my free time wandering the city and shooting pictures of its many textured corners. But more than any other, I returned repeatedly to the palm-lined corniche that overlooks the port. It wasn't the place itself that continually drew me back, but the people: the couples strolling arm in arm, the aimless young men, the hawkers of miscellany, the selfie-taking teens, and many more. On this particular afternoon, I sat down with a chwarma sandwich and discretely slipped my old Rolleicord from my briefcase, waiting to see who would pass. 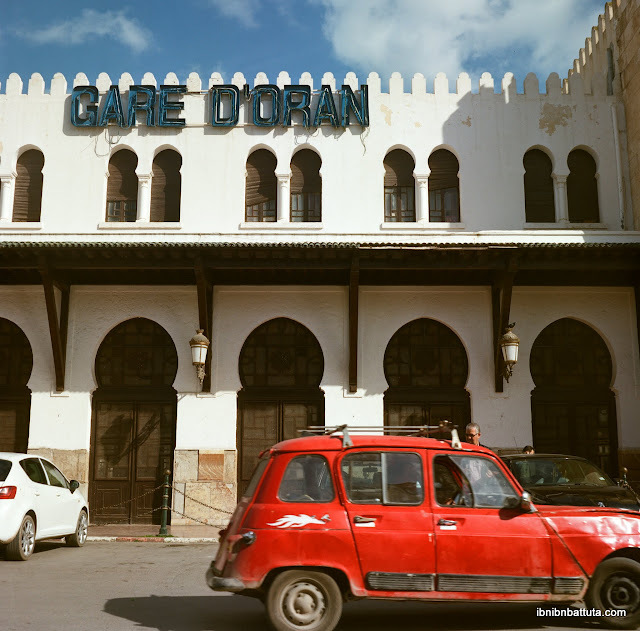 Oran's central train station is just one vestige of its colonial past. Aboard the westbound train from Algiers, it takes a full morning to reach Oran—plenty of time to ponder all the usual surroundings—the scenery, the fellow passengers, your shoes—before working your way down the list until you're pondering the very air around you. It's an especially vivid air, punctuated by a rhythmic clanking that keeps time alongside the rails' steady, high-pitched hiss. Above the seat backs, the passengers' heads undulate side-to-side in unison as they murmur prayers, rustle through the newspaper, or cluck over children. A thin film of dust tints both the landscape and the car's interior a faint goldenrod. Lacy airborne seeds from a local weed waft through the carriage, glistening and leaping as one each time a mustachioed businessman or anxious mother returns from the café car. As the door crashes open, the wind sweeps in a pungent marriage of manure from the freshly plowed hillsides and the acrid tang of hot steel—an odor from the depths of an industrial cavern somehow misplaced here amid the blinding midday sunlight. 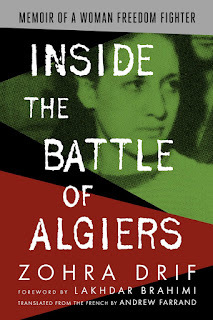 Inside the Battle of Algiers is officially here! 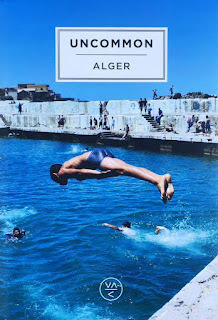 After two long years of translation, I'm excited to share this book—and an important chapter of Algeria's history, from one of its most prominent heros—with the English-speaking world. Finally, if you missed my behind-the-scenes look at the translation process, I think you'll find it an enjoyable introduction to the book: "Translating Madame Drif". "I have a bomb down in the basement. I should really go get it out of there." The dignified elderly woman seated beside me on the sofa tried to swallow a chuckle as my gaze snapped up from the scrawled-over pages spread across my lap. "Pardon?" I stammered out. It was a Saturday morning back in March, and I was in a sunlit home on a serene Algiers hilltop, fully absorbed in debating final edits to my host's memoir, when she so casually mentioned the bomb. But her admission shouldn't have surprised me, since this was no average octogenarian. 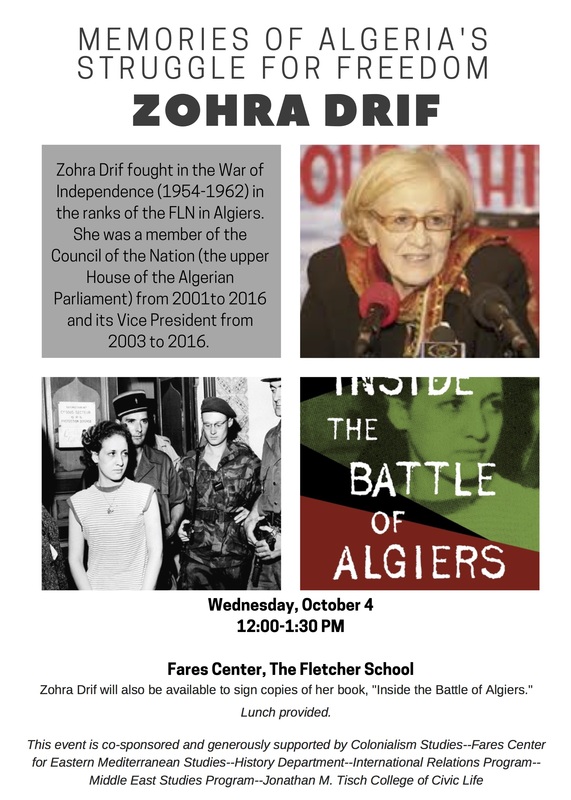 No, this was Zohra Drif, the freedom fighter who, as a young law student in 1956, carried out the bombing that would prove one of the most decisive acts of Algeria's liberation war. "Oui, j'ai une bombe," she confirmed, in her typical flawless French. 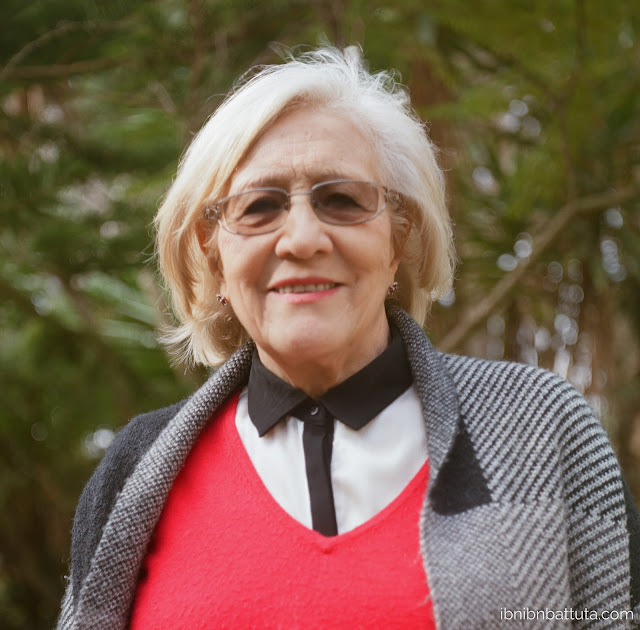 "Well, it's a sort of shell of one…" Years ago, she explained, a farmer had offered it to her husband, Rabah Bitat, one of the original architects of Algeria's revolution and, like her, a prominent post-independence leader. "The freedom fighters used to stash them in private families' homes for safekeeping from the French patrols." Returning the bomb he had faithfully kept hidden away for decades was this farmer's way of showing his loyalty to his country and its revolutionary heroes. "Anyway," she continued, "It's a kind of cylinder shape, and when you shake it you hear all sorts of nails and things rattling inside..."
When you shake it. 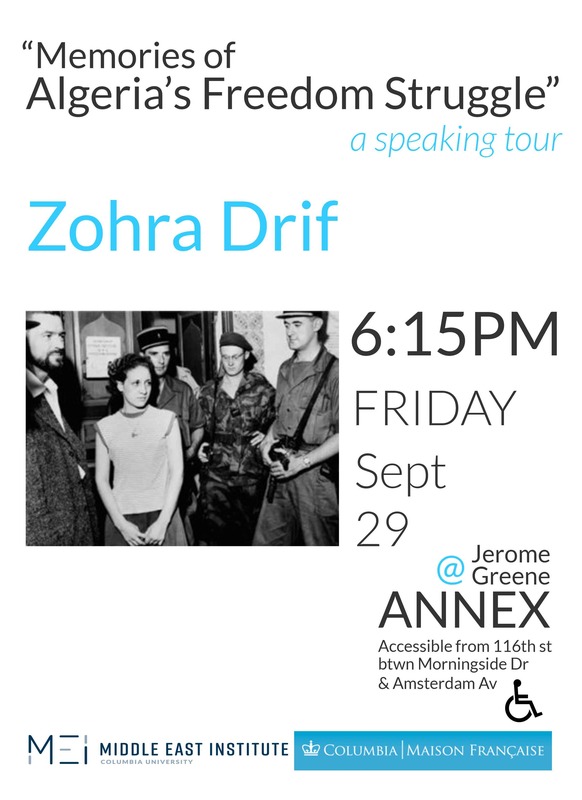 Because of course, being the fearless Zohra Drif, she would shake the bomb. Say what you will about Algerians, but they sure aren't boring. All over the world, everyone has a story to tell, but that seems especially true of Algerians—and all the more so given how isolated the country is, and how few chances Algerians have to share their stories with the wider world. In my talk, I discussed the importance of storytelling and urged Algerian youth to share more stories in whatever form they prefer. I closed by inviting young people in the audience (or even their friends or others) to send me short stories, promising to select a series for publication here on my blog. I published those earlier this year, but want to let everyone know: My offer remains open. I'm collecting a new round of stories and will publish a second series as soon as I receive enough submissions. Similarly, I encourage any aspiring young Algerian filmmakers to enter the "Algeria's Best Kept Secret" film contest throughout the month of September 2017. 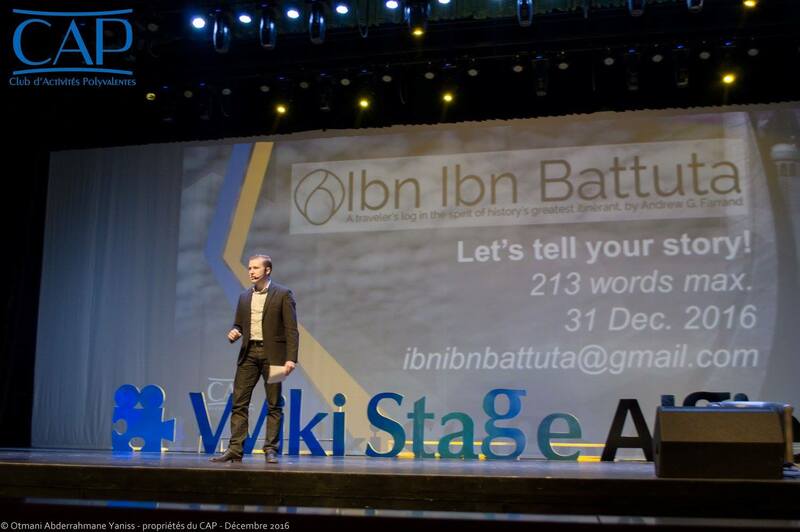 Thank you again to the talented organizers of WikiStage Algiers for giving me the opportunity to share this message with young Algerians. Keep telling your stories! 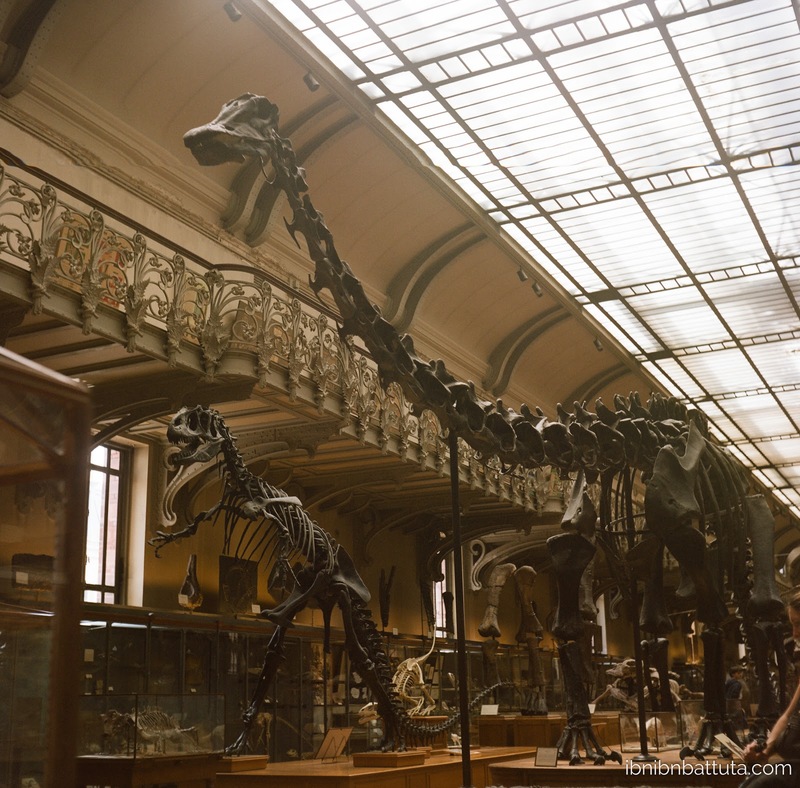 Paris's Museum of Natural History, which few tourists find time to visit, contains several imposing galleries of skeletons, all arranged by Victorian-era curators and seemingly untouched ever since. Understandably, most visitors to Paris can only stay long enough to see the Eiffel Tower, the Louvre, the Arc de Triomphe, and similar must-see attractions. With few exceptions, those classic destinations are classic for a reason, and well worth seeing, but spend more time in the city and you'll have the chance to explore the up-and-coming and edgy, the multicultural and worldly, the odd and the downright macabre. Having returned many times over the past years (it's just a quick 2.5-hour hop from Algiers—short enough to make a weekend of it), I've managed to work my way down the list and see several of the oddities that—unbeknownst to many visitors—are among the city's most intriguing sites. 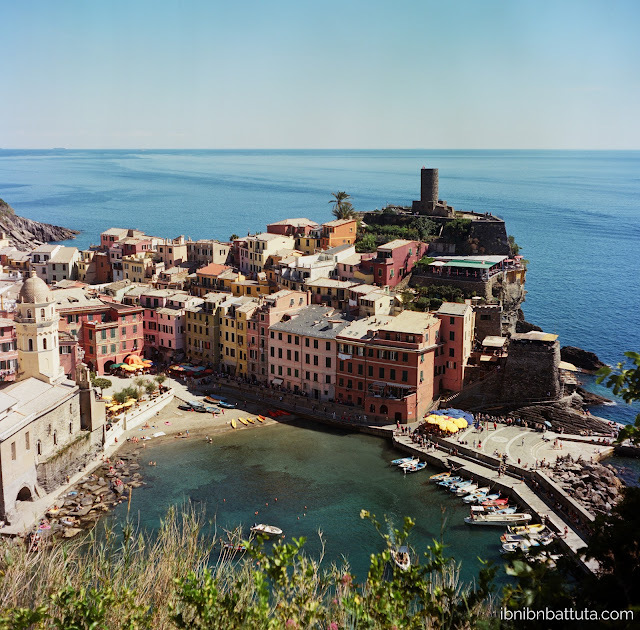 Vernazza, a picturesque paradise in Cinque Terre. Still buzzing from the excitement of the sumptuous Roman wedding, Nina and I wrestled our bags into a rented Fiat and headed for Tuscany. It was still early May, so the days were long, the air was sun-baked and warm, and the Italian countryside was in bloom. We drove to Orvieto, a medieval town whose defensive walls melded seamlessly into the rocky outcropping on which it sat, dominating the fields of grapes and orchards all around. In Orvieto we climbed the ancient bell tower, savored prosciutto and mozzarella sandwiches in a tiny shaded piazza, and strolled along stone streets flanked by gelaterias and artisan shops selling everything imaginable in gnarly hand-carved olive wood. This Beirut trip was a chance to see how the city had evolved since my last visit a dozen years earlier. Khalil and I never really met back in college, but we recognized each other's faces well enough to make the connection one summer evening at a mutual friend's party here in Algiers. "Hey, didn't you go to Georgetown?" Like me, Khalil had moved to Algeria in recent years for work. We've stayed in loose touch since that evening two years ago, catching up occasionally at functions around town. Then back in March, an invitation hit my inbox: for no particular reason whatsoever, Khalil and his wife Julia were inviting us and a few dozen other friends from around the world to a party at his family home in Beirut. On the face of it, Lebanon seemed a bit far to travel to just for a party. But Nina and I both had a few friends there we wanted to see, and we were keen to escape Algiers for a long weekend somewhere different. Besides, Nina had always wanted to visit Beirut, and I was eager to see how it had changed since I was last there 12 years ago. 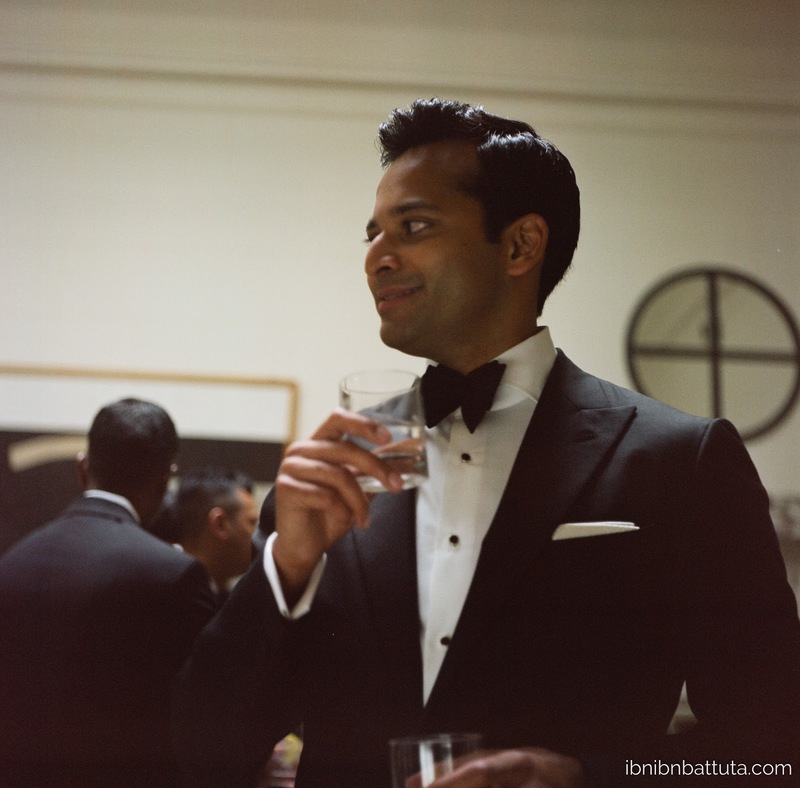 "When in doubt, go out"—right? In the end, it was an easy choice. When we checked in at the Algiers airport, we discovered that a large group would be making the trip with us, including several close friends. Team Algeria was going to Beirut. 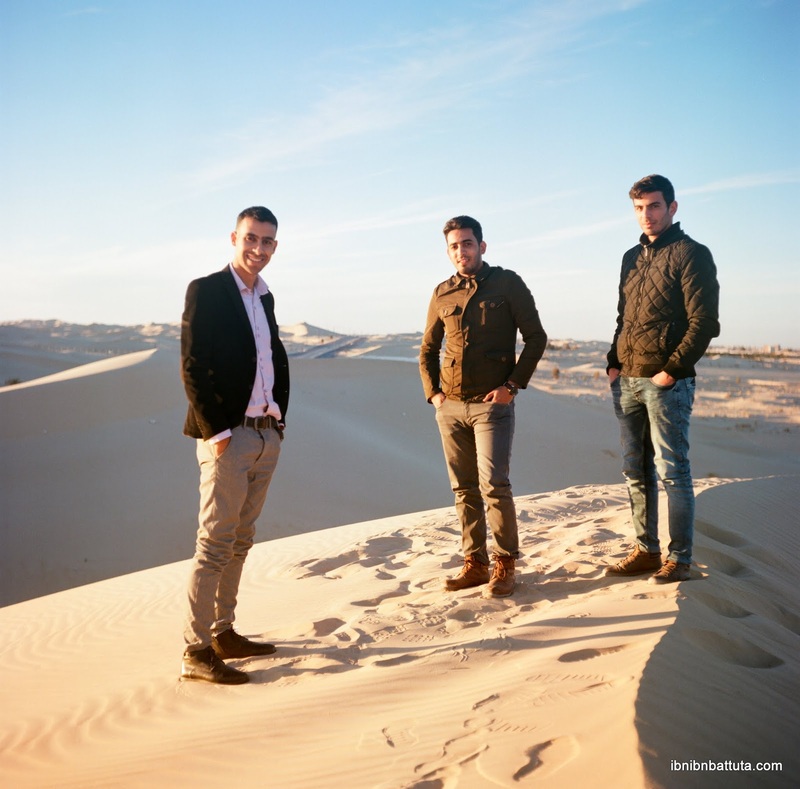 Bachir, Baha', and Khaled, my hosts in El Oued, took me to visit the dunes that rise at the city's edge. From Biskra, my route took me further south into the Sahara. 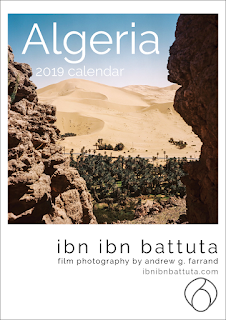 After leaving the palm groves ringing Biskra, my taxi turned onto a two-lane desert highway that stretched, straight as an arrow, as far as the eye could see into a desolate, sandy void. This, he told me, was the route to El Oued. The choice of El Oued's name—meaning "the river" in Arabic—must surely have been aspirational, I mused, as we raced past scrub and dunes and not much else. But while the terrain looked to be about as dry as any other in the Sahara, that soon changed. To the left and right of the highway, vast brown expanses appeared through the rippling heat. (It was still late January, but already quite warm at midday.) Further on, the road arced toward one of the mud lakes, and I got a closer look: this was a chott, a muddy depression where the region's brackish groundwater seeps to the surface, turning hundreds of square kilometers into untraversable muck. "Lazem trouh l'Biskra! Wallah lazem!" You have to visit Biskra! You just have to! Since I first came to Algeria five years ago, I seemed to hear those words all the time. But the desert oasis in question was 400km (250 miles) southeast of Algiers—not exactly a short trip. 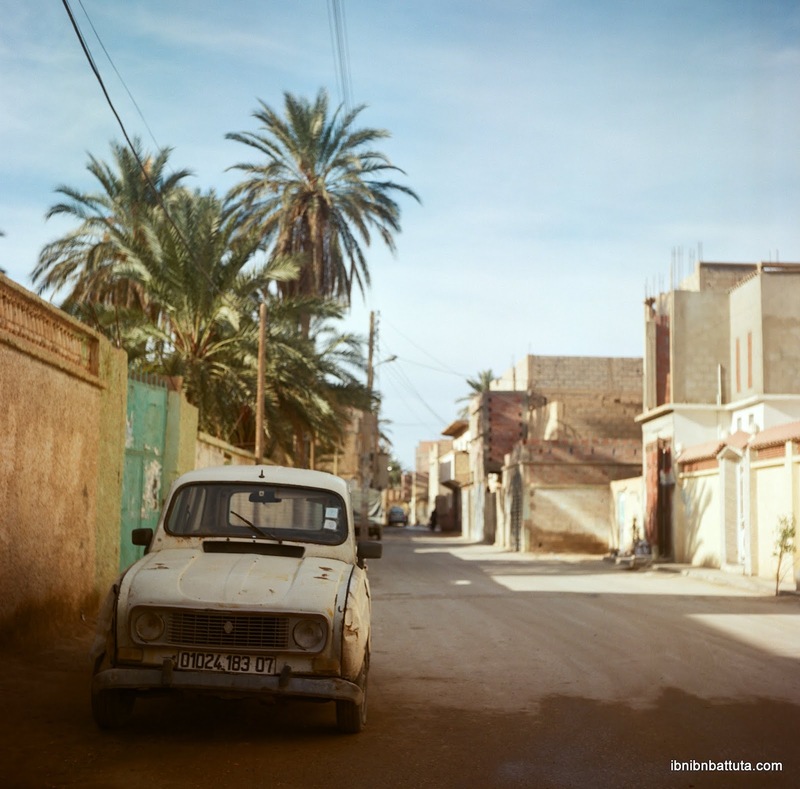 So when the exhibition "Biskra: Visions of an Oasis" opened at the Institut du Monde Arabe in Paris last September, it piqued my interest, and I began searching for a moment to break away for a Parisian vacation. But busy month after busy month kept slipping by, and soon it was January and I still hadn't budged. With the exhibition set to end in just days, I toyed with the idea of a quick weekend escape to Paris. That's when I found out I would need to take a work trip... to Biskra. I was thrilled—as if I'd just found out I would need to miss a visit to the Louvre to go meet the real-life Mona Lisa. You can't beat the real thing! Everyone has a story to tell. Especially in Algeria—the outside world doesn't know your stories. Let's fix that, and let's start today. That, in essence, was the message of the talk I delivered at WikiStage Algiers, a TEDx-style event held back in December in the capital's brand new, Chinese-built opera house. (The video, I'm told, will be available soon.) In the audience were something close to a thousand young people, many of them from ENP, Algeria's national polytechnical university, whose principal student club organizes the event each year. This year, to cap off my high-profile 2016, they had invited me to speak on a topic of my choice. With guidance from some wise friends, I settled on a topic that is obviously close to my heart—storytelling. 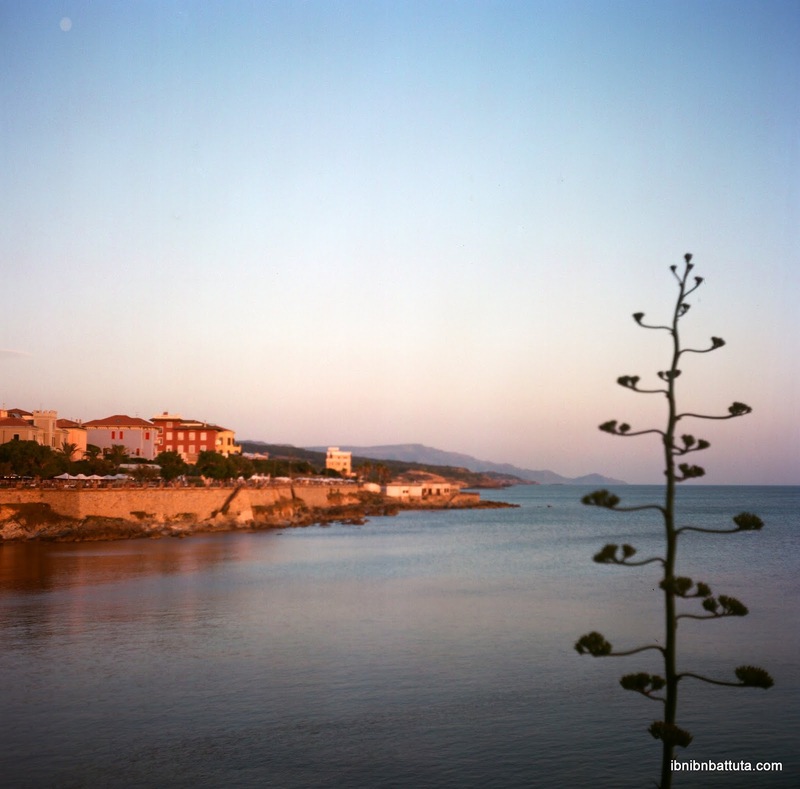 Spain's Balearic Islands sit in the western Mediterranean, roughly midway between Barcelona and Algiers, making it a short flight for Nina and me when we visited last September. Our destination was Mallorca, the largest of the chain's four islands—the others being Minorca, Ibiza, and Formentera (known, respectively, for stone monoliths, stoned club-goers, and stone-faced German nudists). 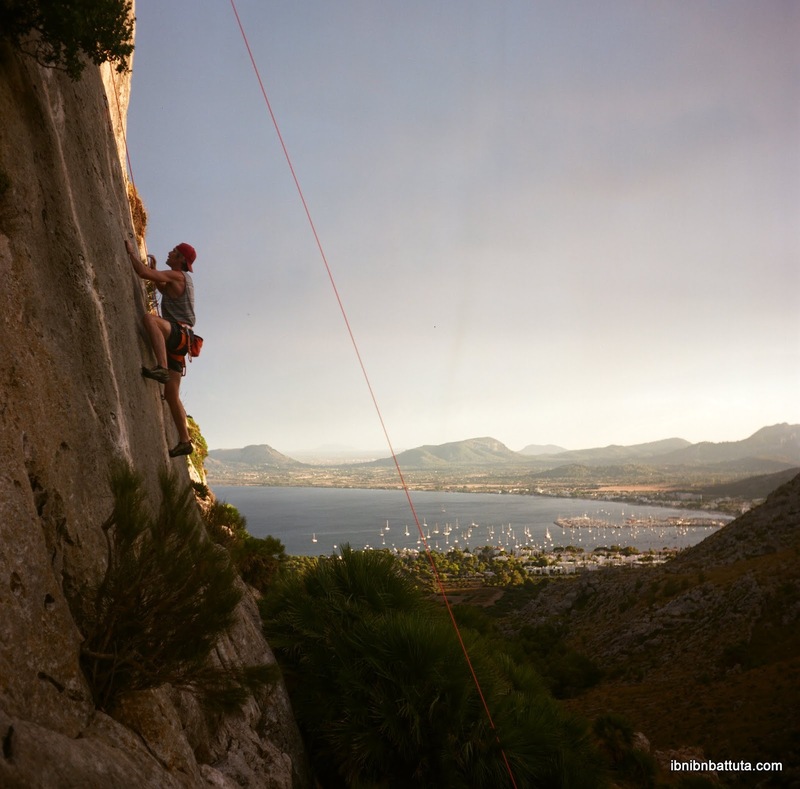 By contrast, Mallorca is a more middle-of-the-road vacation spot, with something for everyone, from outlet shopping and lazy beaches to brutal cycling routes and harrowing rock climbing. Whatever your pleasure, wine and fresh fish dinners bring everyone together at the end of every day. It wouldn't be fair to Algeria to say that one of the prime advantages of living here is the proximity to Europe, but as an American in Algiers it's hard not to enjoy being a two-hour flight away from every major destination on the continent. 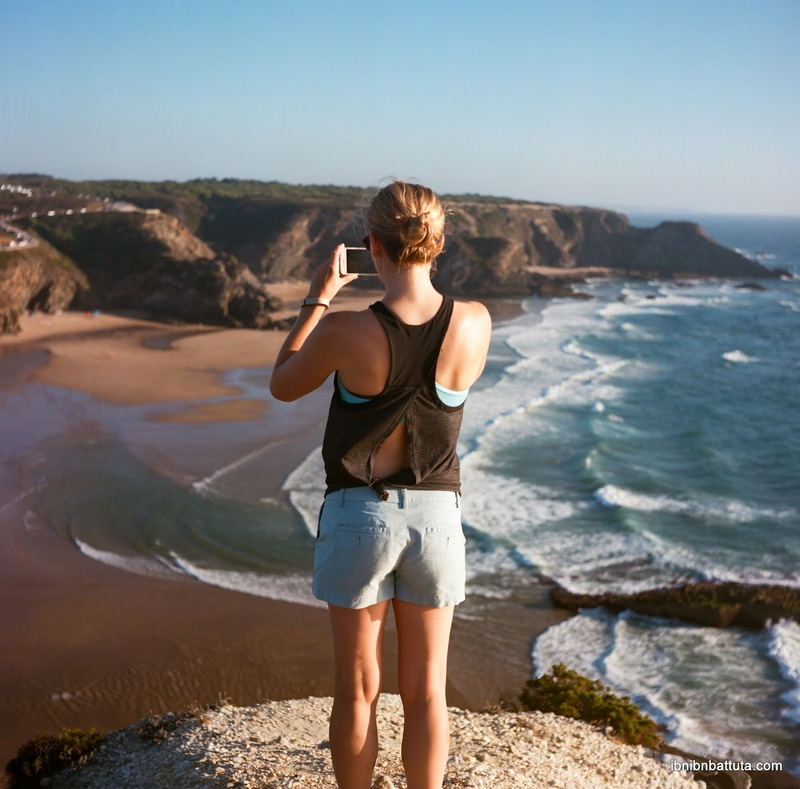 One weekend last summer, Nina and I took advantage of that fact by hopping up to Portugal to rendez-vous with my sister Maggie, who was passing through on a work trip.